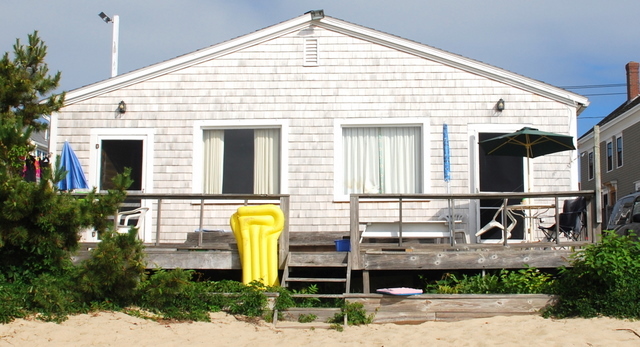 A waterfront Cape Cod cabin, on the best part of the beach! Cinnamon Sand offers all the advantages of the best beach vacation you've ever had. All the conveniences in the perfect location. ​Located next to Lucy Cross House, Cinnamon Sands offers a more casual setting with beach access at your doorstep and a matter of feet to the water. It's a traditional Cape Cod cedar shingled cabin, split in the middle to accommodate 2 units. The west side accommodates 3 guests and 2 on the west. Each side is an efficiency unit with a 4 burner stove, refrigerator, coffee maker, toaster, pots, pans, dishes and utensils. Guests can always dine at the great restaraunts nearby or they can demonstrate their culinary skills and prepare dinner in the kitchen to eat on the deck while the sunset reflects over the bay. 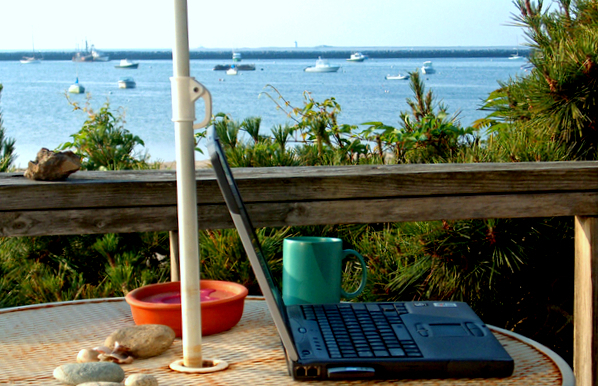 ​The days of trudging your stuff from the car to the beach are over at Cinnamon Sands. If you are hot, thirsty or hungry, just walk up to the cottage and get a bite to eat and a drink or turn around and take a relaxing refreshing swim in the warm water of the bay, usually 15 degrees warmer than the ocean.